There have been some memorable hair trends in recent years: Ombre hair, pastel-colored hair, medium-length waves… but none are quite as enduring as the trendy tresses of these famous ladies. The ‘dos influenced whole generations of women and how they styled their locks, but went one further, to catalyze entire movements of fashion and beauty standards. All hail the hair icons! 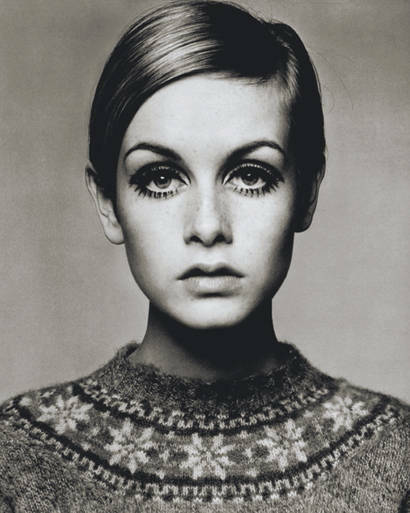 Twiggy was an unprecedented style and beauty tidal wave. Her waif-ish body shape became the most desired, her mod style and quirky eye makeup continue to influence fashion trends. But most of all, her pixie haircut inspired modern woman to sport the cropped, elvish style. This Charlie’s Angel was the definition of hair inspo for the 70s gal. Everyone wanted the Farrah Fawcett flicks. Even still, she is the poster girl for this layered, windswept hairstyle. I can’t imagine the number of photographs of Jen were shown to hairdressers throughout the 90s and early 00s. During her run as Rachel Green on Friends, Aniston sported a variety of hairstyles, all of which became the “next big thing”. Her face layers, her cute bob, her long extensions – which is your favorite Rachel? Any young woman or teenage girl in the early 2000s will appreciate the frenzy that surrounded Victoria Beckham‘s hair. Remember the Pob? For those who may not, Pob is the combined and abbreviated version of Posh (Spice) and bob (like the haircut). That’s right – her hair had it’s own name! Gisele’s beachy waves gave life to the term “model hair”. Her long, sunkissed locks were both effortless and glamorous, straight from the beaches of Brazil to the runways of Victoria’s Secret. Who hasn’t spent too much time with a straightener, curling iron or “beach spray” trying desperately to get Gisele’s tresses? 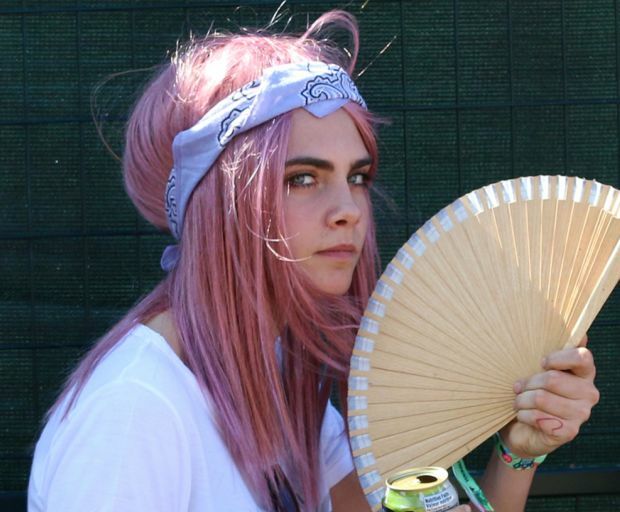 Supermodel turned actress Cara Delevingne has abandoned her bronde locks in favour of something a little more festival for summer. She was recently spotted at the Osheaga music festival in Montreal supporting girlfriend, St Vincent. 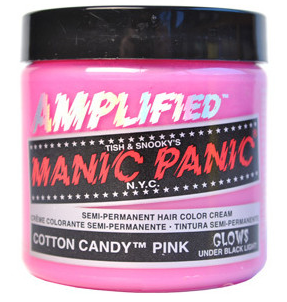 Get this cotton candy hair colour, which is also temporary, with a few of our tips. 1. Make sure your hair is light enough to take in the colour. There are a number of pre-lightening formulas available from the supermarket or the drugstore which are easy to try at home. 2. If you’re using a cream colour, apply it first to your scalp then onto the ends of your hair. Use a comb to evenly distribute the colour without leaving any patches of hair uncoloured. 3. Another way to wear this trend is with hair chalk. It’s a great alternative if you want to test out the colour for one night – it’ll wash-off in the shower. 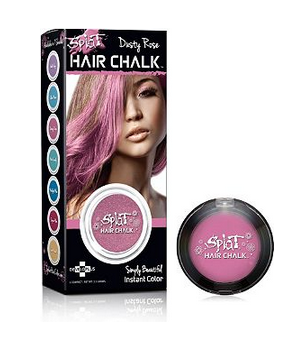 Apply the chalk directly onto your hair, then rub it in gently to become more pigmented. Keep your hair frizz-free this summer in one of the easiest hairstyles to master, the top knot. 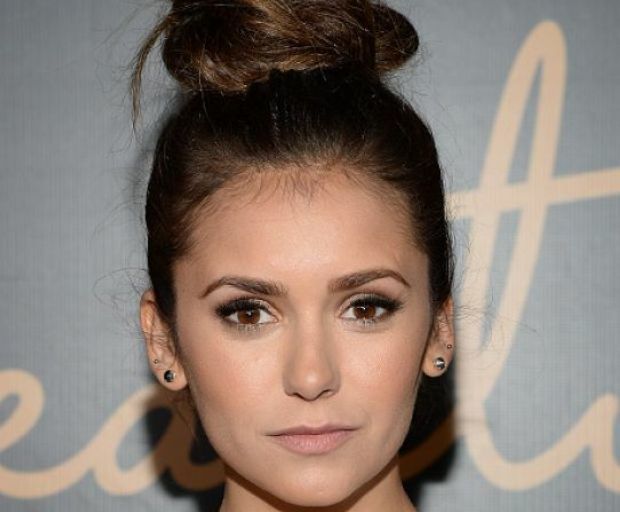 Actress Nina Dobrev was recently spotted rocking a top knot on the red carpet, and we were so inspired to try a tutorial of our own! The is the ultimate summer hairstyle which is so flattering on all hair types, and takes just 5 minutes to complete. 1. To keep your hair from falling out of the bun, using a volumising mousse while it’s still damp. It will also make the rest of the bun look quick and full! Apply to damp hair (avoiding the scalp), and leave to dry naturally or use a hair drier on a cool setting so it doesn’t harm the hair follicle. 2. Pull your hair into a high ponytail, then secure tightly with a hair elastic. You might need to use 2 if your hair is super-thick and textured. 3. Take small sections from the ponytail, and use a flat iron to give them some extra shape. 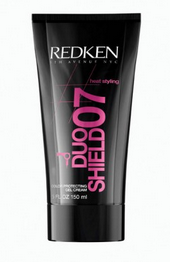 This is ideal for creating extra volume for thin hair! 4. Once you’re done with the flat iron, comb out your curls then twist your hair around in a bun. To create the illusion of extra hair, take small sections and pin them under the elastic. 5. Keep everything together using a medium-strength hair spray. Tease out any additional parts of your bun to make your hair look thick and healthy! Celebrities such as Blake Lively and Elizabeth Olsen have paved the way for one of the most sought-after hair colours of the season – a mix between blonde and brown. Bronde is a combination of ashy brown tones, blended with blonde highlights which are perfect for summer. We countdown some of our favourite bronde hairstyles for you to show the hairdresser! The model turned actress recently debuted her new bronde locks on the promotional tour for Paper Towns. The muted tones are perfect for her skin tone, and match the colour of her eyebrows. 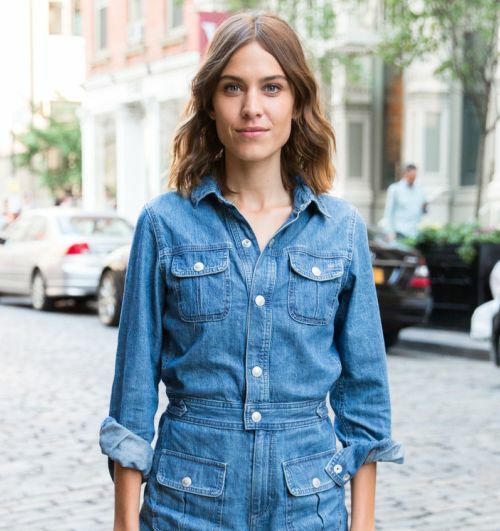 The youngest Olsen sister is a fan of bronde since it’s so easy to maintain. Add a few tousled curls using a curling wand to look like you just came back from the beach! International supermodel, Anna Selezneva shows us the perfect way to make bronde work for her olive skin tone. Pair with dewy, minimal makeup for those off-duty days. Although Blake Lively was known for her fabulous blonde locks in Gossip Girl, the new mum made a low-maintenance change this year by going bronde. Bombshell Jennifer Lopez is also on board with bronde since it’s so easy to maintain – even for dark-haired girls! She was spotted on the red carpet with voluminous curls over the summer. Would you try the bronde trend? We’re already on board! Actress Ashley Benson was giving us serious hair envy when she was recently spotted at Justin Bieber’s Comedy Roast in Los Angeles. The actress wore a floor-length gown with diamond earrings and side-swept curls. Create this hairstyle in just 10 minutes with our easy tutorial below. 1. If hair has just been freshly washed and dried, apply a heat protectant to your ends. This will help to seal the hair follicle and will prevent any additional damage from the curling wand. 2. Divide hair into three sections (one at the back and two at the front). 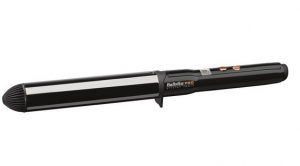 This will make it easier to curl the hair in a short amount of time. For short hair like Ashley’s, wrap the hair around the wand twice, hold for 7 seconds, then release. Shake the hair from side-to-side; this will increase the amount of volume. 3. Repeat this step on your hair, leaving the fringe until last. 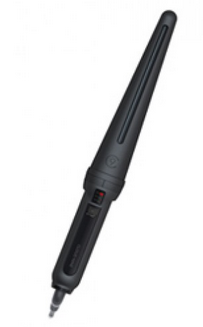 Lower the heat on your curling wand and hold for 2-3 seconds. 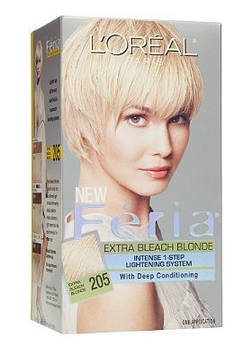 This will make the hair look more natural. Take a wide-tooth comb and carefully brush out the curls. 4. Spritz your roots with a touch of dry shampoo to give hair extra body and lift. 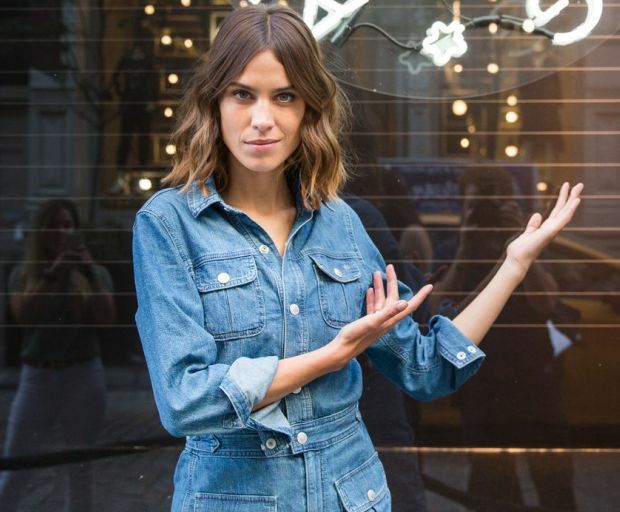 There’s no denying that Alexa Chung has one of the most enviable hairstyles in Hollywood. Where do we begin? Just the right amount of sun-kissed strands coupled with a few tousled waves – it’s difficult to believe this hairstyle could be so easy! We show you just a few products which could help create Alexa’s signature hairstyle. 1. 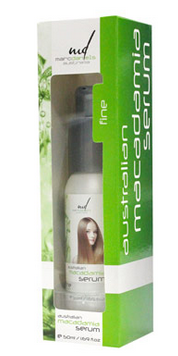 Work with day-old hair which still has a bit of natural oils at the roots. If you’ve just washed yours, not to worry! Run a few drops of dry oil into the ends to emulate this look. It will also make your hair look super-shiny and healthy. 2. 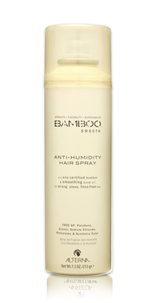 Lightly mist the hair with heat protectant spray, making sure to avoid spritzing the roots. It could make your hair feel crunchy and oily. 3. Use a curling wand to carefully wrap small sections of hair. If you want this look to feel a little more tousled, take larger sections of hair and leave them around the curling wand for longer. 4. When this is done, comb out your hair to loosen the curls. Before heading out the door, carefully mist your ends with a bit of sea-salt spray. It’ll give the hair a touch of body and bounce without weighing it down like hairspray. A good hairdresser is worth their weight in gold. They’re a rare and highly covetable breed whom you may find yourself incredibly invested in – so much so, you contemplate moving cities if your beloved “hair engineer” – gasp – moves to a faraway salon. Okay, maybe not quite, but you get my drift: I’m addicted to the high of good hair and so my beloved, talented hairdresser occupies a special place in my heart. I tell her all my secrets and have laughed and cried under her care and then, like my own fairy godmother, she makes my hair look better and better each time I visit. I fully understand and support celebrities spending thousands of dollars to fly their hairdressers with them all over the world. Wouldn’t you, if you could? But have you ever wondered what your hairdresser is really thinking? The secrets only they possess in their quiet, calm reverie? Read on, for senior Queensland hairdresser Elyse Louise, 22, was kind enough to share her top 5 salon dos and don’ts. Here, Elyse dishes the dirt on big industry no-nos and the appropriate hair etiquette we should all adopt. Creepy crawlies: One of Elyse’s pet hates is, understandably, coming across a client with a head full of nits! Gross! As heinous as this is, it does happen, she says, and leaves hairdressers with no option, but to refuse their services and send the client home. Aside from being totally rank, it’s against hairdresser workplace health and safety to work on a nit-plagued ‘do. Elyse says she’s seen young kids through to teenagers with the dreaded infestated hair. Celebrity lookalike: There’s nothing a good hairdresser hates more, says Elyse, than a client bringing in a photo of celebrity and saying: “Make me look like that”. For starters, you may not resemble your fave celebrity in any way and hairdressers are expertly trained to match your hair style to best suit your individual facial structure and hair type. This means that as much as you might think and hope your hairdresser can suddenly transform you into the likes of supermodel Gisele, it just ain’t going to happen. Clients with no idea: Another big hairdresser hate is clients who say: “Just do whatever you want”. This is a big gamble: how do you know your hairdresser isn’t a complete sadist who will shave off all your hair just for kicks? Elyse says hairdressers much prefer it when you come into a salon with a strong idea of what you want; otherwise you’re just wasting everyone’s time. Invest in a change: If you’re looking for a major, new ‘do – for example going from black to blonde – be prepared for the fact that you can’t do it in one session, Elyse says. A big change will take many salon visits to accomplish unless you want less-than-amazing results. So, be patient and persist with it. Hairdressers, as amazingly talented as some of them are, still cannot perform miracles (bugger). Hairdressers aren’t psychics: The next time you’re tempted to say to a new hairdresser: “Do it exactly the same as the last person” – give yourself a little slap, Elyse says. Hairdressers aren’t mind readers and it’s inevitable they’ll cut and colour your hair differently than the last stylist. Sure, you can carefully instruct them on exactly what you want, but they most likely will not give you exactly the same result as a hairdresser from another salon. Be open to change, or don’t ever go to a new hairdresser. Give your hair a style re-fresh this summer by chopping off those dead ends into a fashionable bob. Since just about everybody is obsessed with replicating the nineties, we have compiled an easy hair tutorial using Rachel McAdam’s bob as inspiration. It only takes about 5 minutes, and is oh-so-effortless! 1. Stay with second-day hair for extra texture (and those natural oils), but if you can’t help it, shampoo your hair with a volumising formula. Really work it into your roots, then rinse with cool water. 2. If hair is on the thin side, let it dry naturally and apply a light mist to the roots. 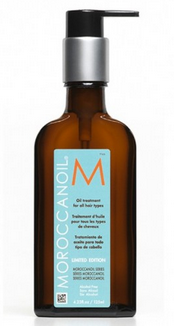 It will give your hair an extra lift without making it feel crunchy. 3. 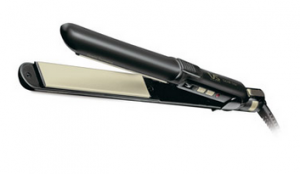 Section off your hair, then use a pair of flat irons to keep it looking super-sleek. Part your hair on an angle for the illusion of extra lift and texture. 4. To keep hair in place all day, use our cult-favourite mist which won’t make your hair feel dry and lifeless. Dry shampoo also works to create instant texture. Give your hair a style re-fresh with one of the hottest styles of the season – a side bun. This popular summer hairstyle is the perfect way to keep your hair frizz-free, plus it looks amazing with a little wear! Actress Emma Stone was recently spotted with the much-coveted style at the premiere Irrational Man in Los Angeles, California. 1. This style is best on day three hair since it will give enough hold, and won’t feel too frizzy. If you are starting from scratch, use a volumising shampoo which will give your roots some much-needed lift. 2. To create some beachy waves, spritz your hair with some sea salt spray and scrunch it with your hands. 3. Take the rest of the hair and secure it in a low bun at the nape of the neck. 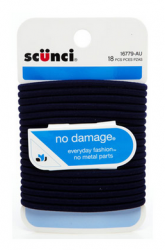 If your hair is on the thicker side, use a translucent hair tie to keep it all in place. 4. Use a teasing comb to carefully sift out the shorter layers of hair which will frame your face. 5. If your hair needs it, spritz lightly with some hair spray to keep it all intact. Looking for a quick, heat-proof hairstyle for a summer party? Actress Emma Roberts was recently spotted with these stunning summer braids, which are perfect for keeping the frizz away and take just 5 minutes to prepare on medium-length hairstyles. 1. Use a conditioning treatment on the length of your hair, making sure to let it absorb for 5-10 minutes before washing out with lukewarm water. 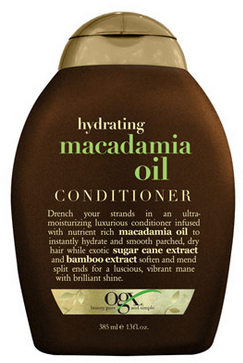 It will help to keep any excess frizz away – especially mixed with the summer heat! 2. Let your hair air-dry, then apply a hydrating serum on the outer layer. 3. Divide your hair into two sections, and comb out any knots or kinks. Separate your fringe or smaller layers and pin them to the side, then start a small braid from the top of your ear. Take the braid over your parting (just like a headband), then pin it down. 4. Repeat the same step on the other side, then set it all with a hairspray. Actress Kate Mara might be known for her long brown locks, but her brand-new pixie crop is right on trend at the moment. Not only is shorter hair extremely easy to style, but you can master the slicked-back look in less than 5 minutes with our tutorial below. 1. Apply a shine serum onto damp hair concentrating on the very ends. Blow-dry hair on a cool heat with a round comb in a backwards motion. This will help to give the hair some extra volume. 2. 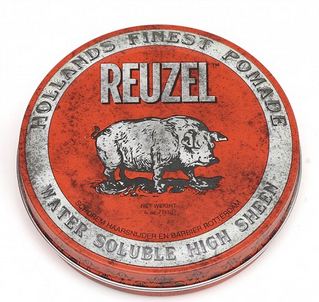 Part your hair in the middle (or on the side as preferred), and apply a high shine pomade from root to tip. This will help to give the hair the hold it needs without falling out of place. To distribute the product throughout the hair, use a wide-tooth comb in a backwards motion. If your hair is shorter than Kate’s, you won’t need to use a comb. 3. Pin back any longer layers such as bangs or a fringe with a bobby pin, then set it all in place with a medium strength spray. Give yourself a temporary makeover by colouring your hair with a wash-out, just like Nicole Richie. This fabulous hair trend is easy to achieve at home – it’s just like colouring your hair, and there are so many colours to choose from! 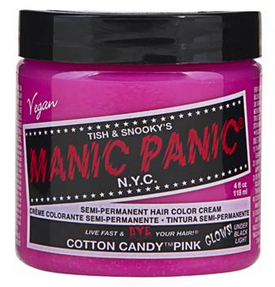 So, for a simple way to achieve pink locks like the reality TV star, check out the following steps. 1. Most temporary hair colours will require you to wash your hair with shampoo before hand – this will give the colour a vibrant shine and allow it to last longer on your hair. However, if your hair is already naturally light, you can skip this step. 2. Apply the colour from root to tip, or simply highlight your ends for a dip-dye or balayage look. 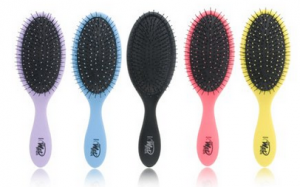 Feel free to use a brush to help you apply the colour onto your hair. 3. Leave the colour to develop for 30-40 minutes, then wash-off with lukewarm water. If the colour is looking a bit too bright, use a violet shampoo to neutralise any harsh tones. 4. Apply a serum to your ends, then leave it to air dry or style as usual. Model Chrissy Teigen is known for her fashionable hair and style choices and this one is no exception. Her Golden Globes ponytail was once one of the best hairstyles from event season – and with good reason! She then rocked it again at the Billboard Music Awards with stunning retro curls, which has inspired us to get the hot rollers out for this easy tutorial. 1. To pump up the volume, use a root-lifting shampoo and conditioner to awaken the hair follicle in the shower. Make sure to massage the roots for 2-3 minutes, then wash out with lukewarm water. 2. 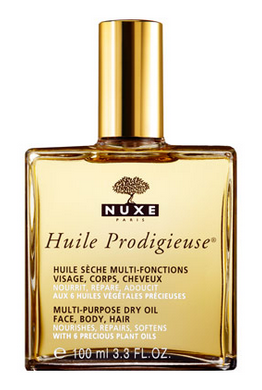 Once hair has been towel dried, apply a nourishing serum on your ends. 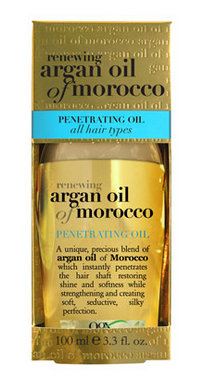 This will lock-in moisture and seal the hair from drying out. 3. Divide hair into small sections depending on the size of your curls, then roll them up into each hot roller. Clip them on the crown of your head, then use a blow drier to set the hair in place. 4. Once you’re happy with each curl, take them out individually and brush through with a wide-tooth comb. This will create the illusion of thicker hair and will make the curls look lived-in. 5. Set with a heavy-duty hair spray to keep curls looking defined all night long. What isn’t there to love about Gigi Hadid? The top model was recently spotted wearing one of the biggest trends of the season: a textured ponytail, so we just had to recreate it. Whether you have straight, curly, thin or even voluminous hair, this is one style you should be trying out this summer. 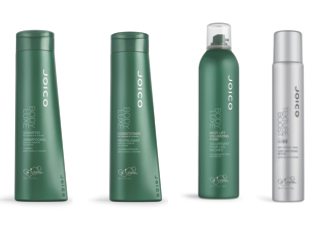 With a little help from JOICO’s Body Luxe range, we have the perfect tutorial below which is just as good as Gigi’s. 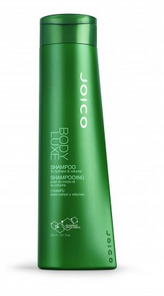 Use JOICO’s Body Luxe Shampoo ($19.99) and Conditioner($19.99) to power up the volume and thickness of fine strands. Follow up with JOICO’s Body Luxe Root Lift Volumizing Foam ($26.95) to create lift and support from scalp to ends. Once hair is dry, backcomb to create volume on the top. Pull the rest of your hair into a ponytail at the height of your choice, then secure with an elastic. Finally, apply JOICO’s Texture Boost Dry Spray Wax ($22) to the ponytail and lightly tease for more texture. Celebrities are no strangers to change, especially when it comes to their personal appearance. From Lindsay Lohan’s blonde hair to Olivia Palermo’s blunt bob, we count down just some of the best (and worst) celebrity makeovers of the last few years. Remember when Lindsay Lohan coloured her signature red locks platinum blonde? While she certainly rocked this look in 2005, we’re just glad she’s gone back to orange these days! 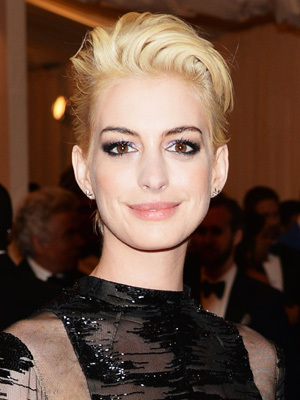 Whilst we’re still on the blonde bandwagon, what about the time Anne Hathaway chopped her long brown locks in favourite of a short pixie do? We much prefer her classic brown locks. One celebrity hair transformation we would love to see again is Ashley Olsen’s dark brown locks. Not only did it bring a different level to her look, but it looked amazing with every hairstyle! 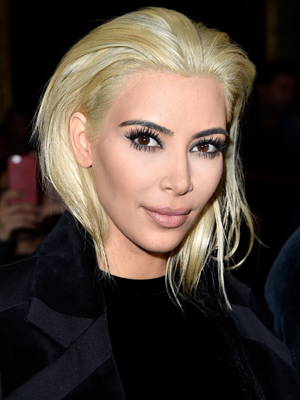 As much as we loved the balayage on Kim, one look would couldn’t get on board with was the peroxide blonde. 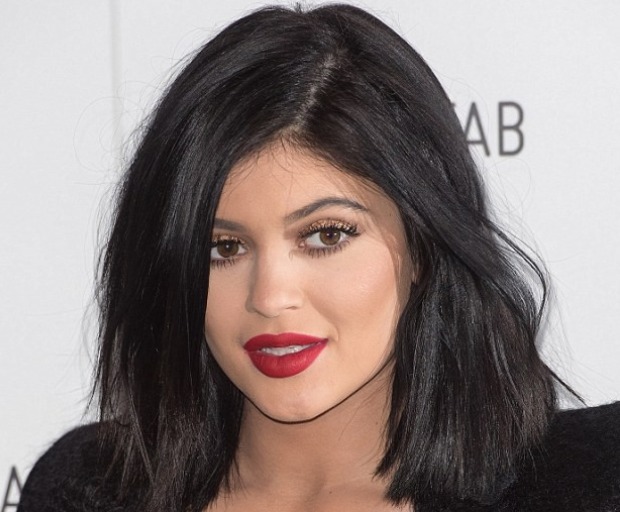 We did love the short, dark locks which were inspired by younger sister, Kylie Jenner. One shorter look we did love was on actress Kristen Stewart. The shorter layers definitely gave her hair some volume, and made it look so effortless! Remember Vanessa Hudgens long blonde locks circa Coachella 2012? Sorry Vanessa but we love your darker hair so much more. The red rinse she put in her hair also looked incredible. 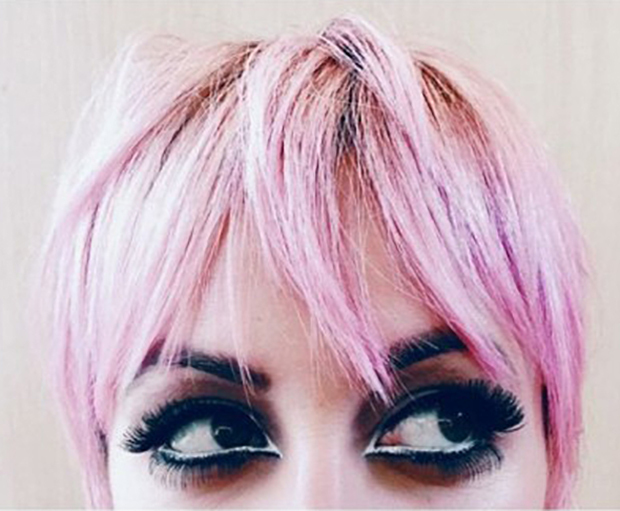 While we love our pastels here at SHESAID, a hairstyle we couldn’t completely appreciate was one by Nicole Richie. Temporary hair rinses are fun, but we loved her blonde hair circa The Simple Life! Who else misses Giuliana’s long blonde hair? However, a stunning blunt cut is amazing on her skin tone, and suits her new-mum look! Who can forget the time Margot Robbie coloured her blonde locks into a delicious shade of chocolate? Now that is what we call a chameleon! Olivia has come a long way from her debut in The Hills, blonde hair and all. But we love her blunt bob circa 2009, and it looks even better when it’s grown out. What is your favourite celebrity hair makeover? Did we leave anyone out? Want to switch up your hairstyle for summer? Nicky Hilton was recently spotted at the Fashion Institute of Technology’s Future of Fashion runway show in New York sporting a summery look with a bright blue dress. We show you exactly how to get this look yourself with a few key products. 1. This hairstyle is perfect on second-day hair since there is a natural build-up of oils. Choose which side you want the braid on, then mist your hair with sea-salt spray for extra texture. 2. Brush through the hair lightly with a comb, then divide it into three strands. Start from the inside and work your way out (just like a french braid) collecting more hair as you finish the braid. 3. Once you have reached the desired length, secure with a bobby pin or clear elastic just behind the ear. 4. To give the rest of your hair a beachy look, use a curling wand to create some more waves and texture. Once you have curled each part of your hair, lightly shake the strands – this creates some extra volume without the use of hairspray. Do you want voluminous bouncy hair like Dakota Johnson? We fell in love with her entire look at the annual Met Gala, and have come up with an easy tutorial to get the look at home. Enjoy! 1. Use a volumising shampoo and conditioner to make the most of your hair in the shower. Most of these formulas are actually root-lifting, which means that hair won’t look flat and lifeless. 2. 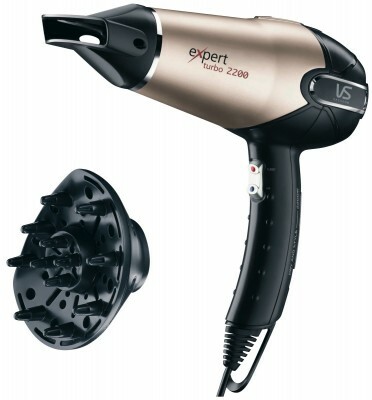 Once you’re out of the shower, attach a diffuser to your hair-drier to add some more texture. This is essential if your hair is naturally quite straight. 3. Use one pump of a volumising hair mousse, and apply liberally to the roots of your hair. Scrunch the hair between your fingers, then release. 4. Apply a lightweight serum to your ends, this will add some extra shine to your hair. Don’t go overboard and apply it onto your roots. It will only weigh down your hair and make it feel oily. 5. If your hair requires a little extra body, use a thin curling iron to create the illusion of extra volume. Remember to curl away from the face, then shake the hairs before misting with setting spray. With the Cannes Film Festival already in full swing in the South of France, some of our favourite international actors are hitting the red carpet with some serious style. French actress Lea Seydoux was wearing one of our favourite hairstyles – a refined bun, so we just had to recreate this look ourselves. 1. Start with hair that has been freshly washed and dried. For some added texture, use a volumising hair mousse or spray on damp hair. 2. 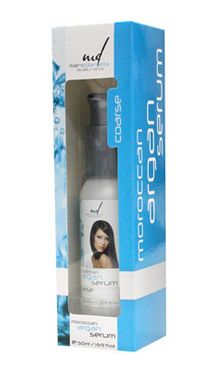 Once hair is completely dry, apply a lightweight serum to the ends. Not only is this crucial for keeping the follicle healthy, but it will also make the hair look shiny. 3. Divide hair down the middle, then twist and pin into a bun. 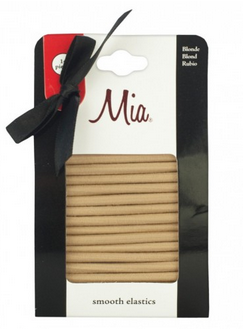 If your hair is thicker than usual, you might want to use a translucent hair elastic to keep it all in place. Then, just disguise it by pinning the shorter strands over the bun. 4. Set it all in place with a light finishing spray! Channel Gemma Ward’s relaxed curls at Mercedes Benz Fashion Week Australia without even stepping into the beach! How? All you need to do is follow our simple tutorial below, and don’t forget to mist your hair with some sea-salt spray before heading out of the house. 1. If your hair is just freshly washed, apply a lightweight serum onto your ends. 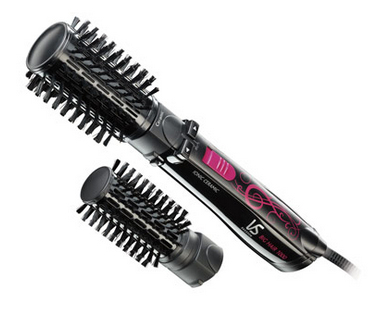 This will help to lock-in moisture, but won’t weigh the rest of your hair down. 2. Mist the rest of your hair with sea salt spray, and scrunch it with your fingers. 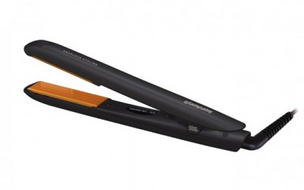 This will help to generate extra volume to even super-straight hair. 3. Use a hair-dryer on cool, and make sure to add the diffuser onto the tip. This is essential if you want to nail the wavy locks Gemma Ward is sporting. 4. If the diffuser trick isn’t working on your hair type, simply use a curling wand with a large barrel to create the illusion of beachy waves. Section off the hair, then work your way from back to front – this will ensure that your hair maintains the curl for longer. 5. Mist your hair with a setting spray lightly at the roots to make sure it stays in place for hours. Who doesn’t want to achieve Kate Moss’s tousled locks? If your own hair doesn’t work with the ‘rolled out of bed look’, use the tips and products below to create some natural texture in less than 10 minutes each morning. 1. If your hair has just been freshly washed, blow-dry it on a low heat (cool if your hairdryer has the function) and tip your head upside down – this will give your hair some extra volume. Remember to alternate the hair in different directions as you’re drying it. This helps to stimulate the follicle, which is really important. 2. Use a backcomb on the crown of your head and lightly mist with some hairspray for added volume. 3. To keep the hair from getting too crispy or sticky, use a natural bristle brush from root to tip. This also helps to tease the hair out and will leave you with a nice layer of volume afterwards. 4. To use the styling balm for Kate’s exact look, her best friend and hairdresser James Brown has created the ultimate mist to keep your hair intact all day long. Rub it between your fingers and apply directly into the roots of your hair. Mastering a classic slicked-back hairstyle is number one on our list this season, especially since it requires so little maintenance. Actress Anna Sophia Robb was spotted at the Broadway premiere of Gigi sporting a modern chignon which we just had to try out. Follow our easy guide below to achieve this look yourself at home. 1. If your hair has just been freshly washed, use a lightweight cream so you don’t suffer from any flyaways. This particular formula adds a hint of shine, and is perfect if you’re getting photographed. Concentrate the product into the ends of your hair, then blow-dry backwards. 2. Comb backwards and secure the hair into a bun at the nape of your neck. If your hair is particularly thin, section it off, take small pieces of hair and wrap them over each other. This gives the illusion of added volume without the use of extensions. Once hair is done, set it in place with some hair spray. 3. 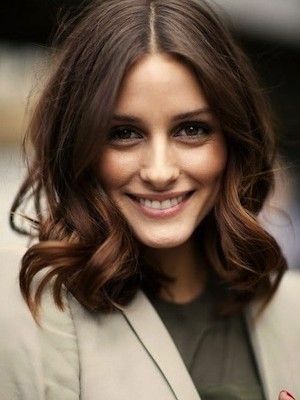 Let out those shorter layers at the front of your face and curl with a tong for added volume. Many dark-haired celebrities are making a change to a lighter, sun-kissed look for the warmer weather, and one of our favourite has got to be Jessica Alba. To maintain those bright blonde locks, it’s important to use a few products and homemade tricks which will ensure that your hair never looks brassy or dry. A hydrating conditioner is essential when you’re working with bleached hair, since it adds some much needed moisture back into the hair follicle. While you’re in the shower, apply conditioner at your roots, then tie up the rest of your hair into a bun. Leave it in for 5-10 minutes and rinse with cold water for best results. Did you know that chamomile is a natural way lighten your hair? Fill a large bowl with lukewarm water and 4-5 bags of chamomile. Let the water infuse for a few minutes, then tip your hair into the bowl. The water should soak into your hair for about 10 minutes, then squeeze out the excess and let your hair dry in the sun. To keep your bleach blonde ends from getting too dry and over-processed, it is important to visit the hairdresser on a regular basis. 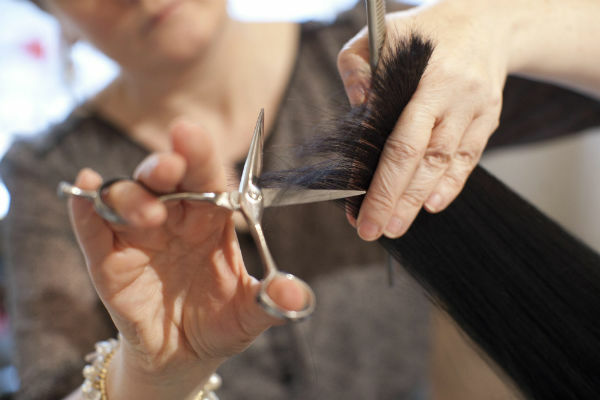 If you have a few split ends, simply wrap a lock of hair around your finger, and lightly snip off all the strays. Blonde hair can go brassy without a moments notice, so always keep a violet shampoo in your bathroom cabinet. Apply the product to your ends, leave it in for 5 minutes, and wash with cold water. It helps to cancel out any brassy or orange tones from your hair between trips to your hairdresser or colourist. If your hair is damaged from all the sea-water or treatments, simply use a homemade mask to bring it back to life. Olive oil is perfect on damaged, brittle ends and coconut oil is an amazing hair and scalp mask, which brings back instant shine. What are some of your treatments for hair like Jessica Alba’s? While Kylie Jenner is mostly known for her luscious big lips, she’s also been rocking a seriously stylish short bob. Even if your hair feels thin and lifeless, use our tips below to create a shiny, voluminous hairstyle which is suitable for all occasions. 1. If your hair is coloured like Kylie’s make sure that you’re using a sulphate-free shampoo. 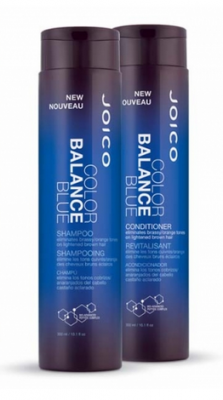 This will help to lock-in your colour for longer, and won’t dry out your ends after each wash.
2. Apply a conditioner to strictly the ends of your hair, and leave-in for 3-5 minutes. Applying it all over the hair (and the root) can actually decrease your volume later on! 3. Spray a colour shine serum lightly through damp hair, concentrating it on your ends. 4. Just before blow-drying the hair, use a lifting mousse and scrunch this from root to tip. Make sure your hair is still damp, otherwise it can get quite sticky. 5. 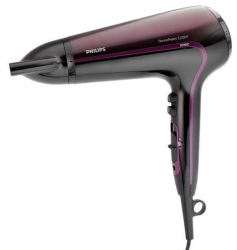 As you’re blow-drying your hair, use a few different techniques which will help to create instant volume. Scrunch your hair between your fingers, dip your head upside down and dry it at the roots, and even apply some sea salt spray to awaken the root. 6. Once your hair is dry, use a finishing spray to lock-in the texture, and make it last for hours. To create some extra volume, part your hair on the side instead of the middle. You will find that it creates more texture at the roots without even trying! Would you try this style at home?